I have 35 years experience as a graphic designer. I have my BFA with graphics emphasis from Mt. Mercy College. Besides doing graphics, I teach Graphic Design and Adobe CC classes. "Fantastic designer who is always flexible with our needs!" "David did an excellent job dealing with a large, diverse, opinionated group on a logo design!" "Excellent job with a large volunteer committee with diverse opinions, very fast turnaround!" "Thanks for designing our corporate holiday card! Looked fantastic! Great communication as well!" "David is awesome to work with, we have used his talents on several projects to date. Highly Recommended! " "David is a first class designer. 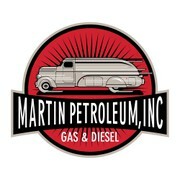 He was quick to make design changes and was able to design the logo that I have been wanting to represent my company. I enjoyed working with him very mch!" "David always does excellent work! He is timely, accurate, a great listener and super-creative. We can't recommend him highly enough." "I love David's work, he was our first submission and we loved his right from the beginning. Very thorough and professional and lovely to deal with."